The haunting and heartbreaking new literary thriller from the author of the international phenomenon "The Girl with all the Gifts."" 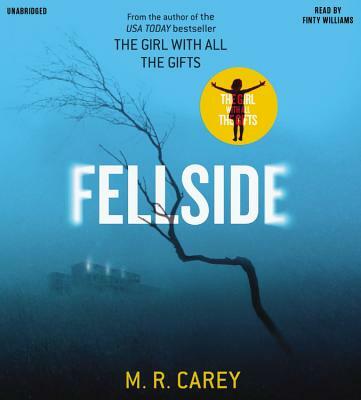 " Fellside is a maximum security prison on the edge of the Yorkshire Moors. It's not the kind of place you'd want to end up. But it's where Jess Moulson could be spending the rest of her life. M.R. Carey is a pen name for an established British writer of prose fiction and comic books. He has written for both DC and Marvel, including critically acclaimed runs on X-Men and Fantastic Four, Marvel's flagship superhero titles. His creator-owned books regularly appear in the "New York Times" graphic fiction bestseller list. He also has several previous novels and one Hollywood movie screenplay to his credit.